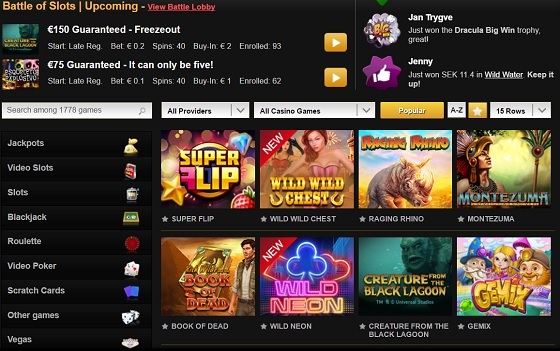 A Maltese-based casino with Swedish roots, Videoslots is a decent find. It hasn’t been around very long, winning Casinomeister’s “Best New Casino” award 2014 (Casinomeister is a rival information site, but even we have to admit that’s a decent endorsement). Not a bad little list, excellent in fact: I expect great things from my Videoslots review. Perhaps unusually for an online casino, Video Slots offers an open invitation for people wanting to visit their premises. This is a great little incentive for inspiring trust in its customers. Still, I can’t help but worry for them when the “gambling rage” hits one of the less-hinged players…but maybe by the time they take that flight to Malta, the rage will have worn off. In fact, the sunshine would help get rid of some of that anger! 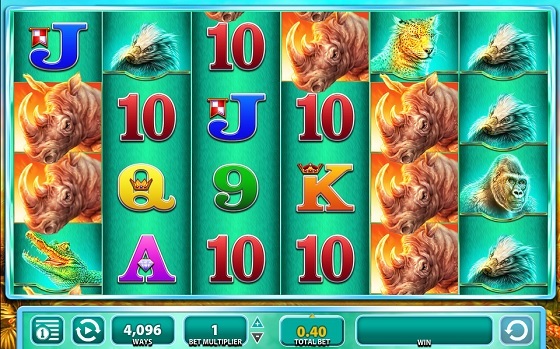 Video Slots Review First Impressions: Did It Live Up to Expectations? When I first landed on the site geared up for my Videoslots review, it struck me how modern it looked. This isn’t something I expect from such a new casino; I’d expect them to improve as their profits increased, but they’re great off the bat. The graphics are fantastic – great animation. The black background with the bright contrasting colours makes the graphics easy on the eye, but fun at the same time. In my opinion, it’s quite difficult to get the balance right, and only a few casinos manage it. All in all, first impressions are very good, and that always increases my feelings of trust towards a casino, couple that with their open-invitation and this is a warm welcome from a site that I know is going to cost me a bit of money before I inevitably win big. The big win is always on the horizon, and I’m feeling good about Videosots.com. Did the Warm Welcome Extend to A Decent Bonus? Before signing up and claiming my bonus I wanted to make sure this was a safe casino. They have a “Security and Ethics” section on the site that helped to answer all my concerns. There’s information about encryption, and about what they will do with your information once you have submitted it (keep it for their records – no selling to 3rd parties). They also directed me to the Gambling Commission website. 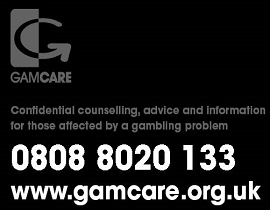 The Gambling Commission requires casinos obtain proof of ID and address if they cannot verify the account from their databases. So if you’ve recently moved house the shared databases may have you registered at a different address which can trigger an additional level of security. This all seemed very thorough and helped put my mind at ease before proceeding with real money play. Sorted: But What about the Welcome Bonus? 11 welcome spins on Starburst: Now, if you’ve read any of my other reviews, you will have noticed that Starburst spins is a very common bonus. I’m starting to become extremely bored of the game now and I wish some of the casinos would break the mould a little bit! The welcome bonus: It’s pretty much the same as you would expect from any decent casino. They match your deposit 100% up to a value of £200. The wagering requirements are one of the fairest I’ve seen, at 20x the deposit – often, it’s 40x. The bonus is released as you play, rather than up front. One thing that amazed me about Videoslots was their Weekend Booster promotion. ‘25% of our weekly profits go straight back to our players’ – every Friday they plough a quarter of their takings back into players’ accounts, the more you play, the more you get back. This is easily the best casino booster bonus we have come across as it applies to all players not just VIPs. · You will receive 11 welcome spins in a random game upon First Deposit. 100% deposit bonus up to £200 We will match your deposit up to £200 on your first deposit. £10 minimum deposit required. You are required to wager the bonus amount 20 times before you can withdraw the bonus funds.You can forfeit the bonus and take the winnings and paid out bonus funds. Only the remaining balance of the bonus which has not yet been released will be forfeitedBonus will be paid out in 10% increments to your cash account.Jackpot games do not contribute to the conversion.Maximum bet per spin is either 50% of your deposit up to £20.You must be 18 or over to play and 21 in countries where that is the minimum age by law.Play Responsibly. £10 extra cash on your first deposit You will receive £10 extra cash from us when you make your first minimum deposit of £10.You are required to wager the bonus amount 25 times before you can withdraw the bonus funds.You must be 18 or over to play and 21 in countries where that is the minimum age by law. Play Responsibly. Full Terms & Conditions Apply. Carrying on with the trustworthy theme, as soon as you attempt to make a deposit, a little popup screen appears telling you that they hold their customers’ funds in a separate account to their business funds in order to protect customers from the fall out if Videoslots.com are made insolvent. This is normal, and may in fact be a legal requirement. Still, I like that fact that they make a point of telling you. They have around 1754 video slot games (Yes, I did count them. I might be off by one or two, but they definitely have well over 1700). The progressive jackpots (PJPs), including the big ones (Mega Moolah, Siberian Storm, Hall of Gods, etc. ), but also a few I’ve never seen (Fruit Fiesta & Gift Shop). In fact, with a choice of 35 PJP games their progressive jackpot section is one of the most comprehensive I’ve seen. They have the one-arm bandit type slots (Rapid Reels, Cash Splash 5 Reel, & Thunder Reels). They have the story-telling video slots (South Park & Big Bad Wolf – I like this one. It reminds me to make sure I build my house of bricks and not straw, because that wolf is knocking on the door). Raging Rhino: A game by the lesser-known Williams Interactive. It’s a fantastic game: great graphics, a decent scatter bonus, 4096 ways to win, and when I played it the game was hot, so decent wins too. I was disappointed with two things though: first, they don’t have a decent bonus game, and second, they don’t allow you to auto play. Jack and the Beanstalk: A great intro video here from NetEnt – it felt as if I was watching a Pixar film…I’d definitely watch the full version. This is a fun game. The “Walking Wild” feature is particularly good. Here, the wild moves around the screen on each spin for a set number of spins. When it comes up, you know that you’re in for a decent win. The free spin wild has a great animation too. The beanstalk grabs Jack by the foot and drags him up into the clouds where he gets free spins and the chance to win money bags, the golden goose, and/or the golden harp : if you don’t know the relevance of this, it’s time you brushed up on your fairy tales. With this site, I particularly like how around each game you have a number of controls. You can open the ‘Activity Screen’, which shows you who’s winning and which games are paying out. They also have the live chat function, so you can get in touch with customer services without having to leave the game. Scratch Cards! Oh yes! Who doesn’t like scratch cards? Um, no one. They’re amazing and the only other place I’ve really noticed them is on the National Lottery website, so it’s nice to have the option to go somewhere else. The scratch cards are cheap, so you can’t accidentally place a huge bet (as I’ve been known to do when playing other games! If you accidentally close the screen and then go back in, you can forget that you’d originally set a lower bet, and then spank through your money really quickly). They have 31 scratch cards to choose from, but the Microgaming games weren’t working when I tried – not sure why, but I hope they come back soon, because Granny Prix looks incredible. 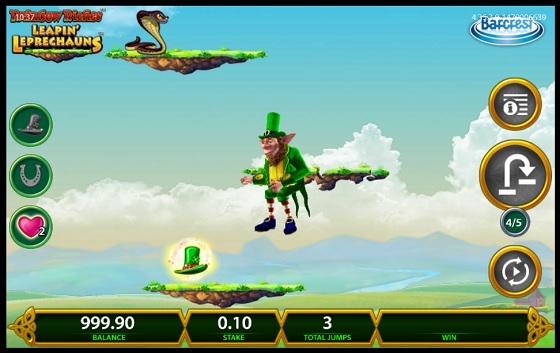 Of the ones that were working, my favourite was SG Interactive’s Leapin’ Leprechauns. Without giving too much away, you get to see the next move before it happens. Sometimes you’re mid-way through your moves (you have 5 at a time) and so you see your imminent failure before it happens. At other times, it stops at the 5th jump and you can see whether the path is clear or not for the following jumps. It allows you to hedge your bets better, and to help you know when to collect your winnings. Video Poker: the great thing about their poker section is that unlike other casinos, you don’t have to know how to play. They tell you when you win! My favourite poker game was Deuces Wild 1 Hand – on a winning hand, it allows you to gamble it on “red or black” or “suits”. As well as the types of games mentioned above, they also offer Roulette, Blackjack, Baccarat, and Craps. They’re all video versions of the game, rather than the real games, so if you like the skills associated with playing poker, craps, or blackjack, then you might want to head to a more traditional site. However, if, like me, you’re just here for the easy play and the adrenaline of gambling, it’s a fantastic site. 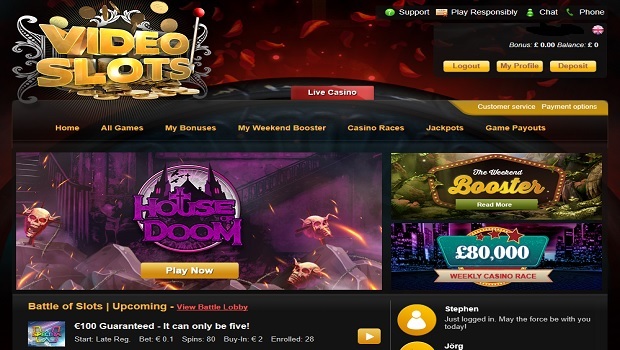 One thing Videoslots excels at is in their tournaments. They have a £40,000 weekly casino race leaderboard where anyone nominating a favourite slot can earn points and climb the leaderboard, you earn more points the higher the value of your spin and there’s a total prizepool of £40k every single week. This is one of highest payout regular tournaments that we have seen online and it is one of Videoslots’ main attractions. I always like to test out the customer services part of a business. The way they treat you says a lot about the effort they put into providing you the service. The better they treat you, the better the site will be. It’s the same with any business and that’s why I stay away from businesses that have a monopoly – they know their customers have no choice but to use them, so they stop putting in the effort and the result is terrible service. Anyway, enough of this nonsense: how does Videoslots.com treat its customers? From what I’ve seen during my Videoslots review, they’re excellent. I contacted them via their live chat page – which, as I mentioned earlier, you can access from any of the games. You can also access it from the front page and various other areas. They make it very easy to do, which is a great sign. It took around 30 seconds for the chat to connect with a rep, which is better than most of the utility companies can do! They solved my issue within 3 minutes. In all, it took less than 5 minutes between the problem arising and its resolution, so I was back to playing quickly. Great stuff and one of the best responses I’ve had from an online casino. 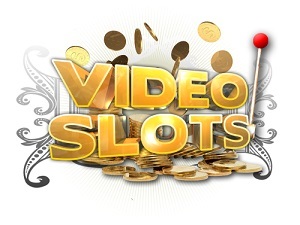 Overall, this is a great site for lovers of the video slots. During my Videoslots Review there were thousands of games to choose from, so it will take a long time to become bored of the site. I think one of the most impressive things is just how far they go to prove that they’re a safe casino. They have great security around your personal details, they have a very responsive customer services team, and they provide a fantastic delivery. It’s very difficult to find anything to complain about from Videoslots.com.